But where can one find the fan dubs that you have described from time to time. I know that they take a lot of time and effort, and it is fair, of course, that you might make some off of your labor. You might consider making the fan dub site invitation only, or even a paid website, for presenting them. I'd join or pay, myself. I upload my Fan Dubs on Youtube but if there are no restrictions. 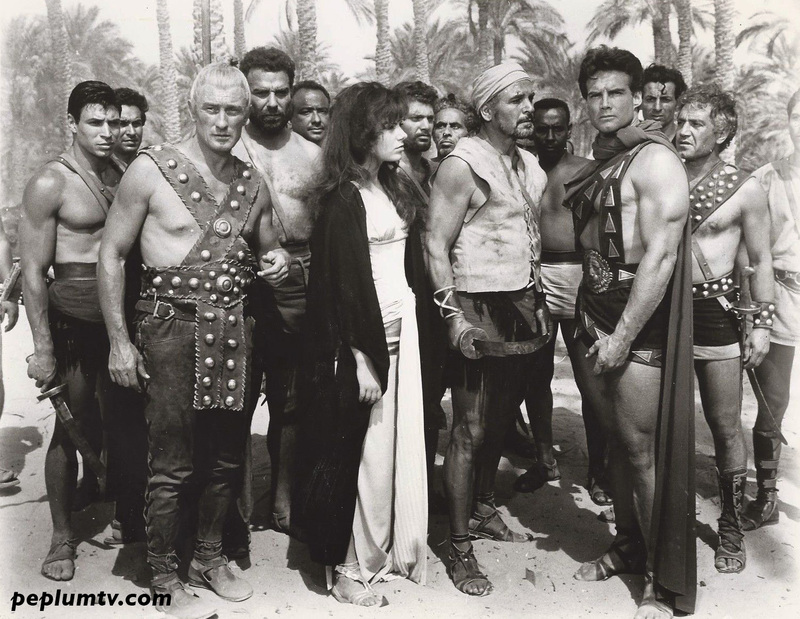 If the film is in the Public domain there's no issue but SON OF SPARTACUS is still copyrighted so there might be some restrictions. I have uploaded HERCULES Fan Dub on my previous channel before Youtube's stupid restrictions made me abandoned that channel and set up PEPLUM TV, the new channel. I'm uploading stuff there gradually, making sure not to get any restrictions there. I have a couple of Fan Dubs uploaded there now including The Giants of Thessaly, The Bacchantes and Duel of Champions, just to name a few. I had The Minotaur there for a few days before someone told me the film is still copyrighted so I removed it quickly. I don't sell my Fan Dub because with my bad luck I'll get fined. I'll upload a new Fan Dub for Christmas!